Launching a pay TV platform typically requires 2-3 years’ development to create a customized user experience based on proprietary middleware with continuous updates throughout the STB lifetime. It’s slow, expensive and requires specialist developers, but operators get the UX they choose. Google’s AOSP and Android TV are shaking up this status quo. Android rose from zero to global dominance of mobile markets in under seven years, so it’s little wonder this disruptor is being taken seriously. But many operators remain confused about the options available for hybrid STBs. So, let’s compare the facts. AOSP stands for Android Open Source Project. Operators use it for free to create completely custom user experiences. Early examples included Amazon’s Fire devices. Built-in support for Widevine DRM enables live and on-demand OTT. 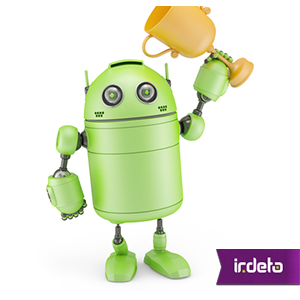 And because Android’s Java-based source code is so widely used, operators wont struggle to recruit qualified developers. But it doesn’t come with an App Store or third-party apps like Netflix, so operators must create their own. This means the average AOSP-based service takes 18 months to launch, but the operator has control over every app on their box. The alternative is Android TV, a smart TV platform with a standard look and feel that operators “paint” with their own brand. Android TV is also free, but operators must license Google Mobile Services (GMS) for essential features like messaging, location services, and in-app billing. It supports PlayReady DRM in addition to Widevine. The Google Play Store is included, giving access to thousands of ready-made apps including games, streaming services (Netflix, Amazon, Hulu etc.) and Google Apps like maps and YouTube. But, crucially, the operator can’t limit the range of apps to keep direct competitors off their box. Voice search, PVR and recommendations are built-in. So is Picture-in-Picture, and a TV Input Framework (TIF) that seamlessly combines live feeds from separate sources such as DVB-C*, IPTV and OTT in one UI. Navigation is via games console controller, the Android TV mobile app or a standard remote. Direct Carrier Billing allows VOD and apps purchased in the Google Play Store to be added a subscriber’s TV bill, on a revenue share basis. Like AOSP, there’s a wide pool of developers and operators could realistically launch a new STB in as little as 6-9 months. They can also rely on Google integrate future developments like Virtual Reality and the Internet of Things. Fundamentally, the choice between Android TV and AOSP is one of speed and convenience versus customization and control. Neither includes the pay TV stack which the operator must develop. Most early adopters are telecoms companies familiar with the open Android environment on mobile devices. But analysts OVUM predict Android TV will capture 35% of the Smart TV OS market by 2019. In my next blog, I look at the potential impact of Android on the middleware market. This entry was posted in Media & Entertainment and tagged Android, Android TV, AOSP, Irdeto, middleware, STB, user experience. Bookmark the permalink. What will it take for the media industry to unite against online pirates?